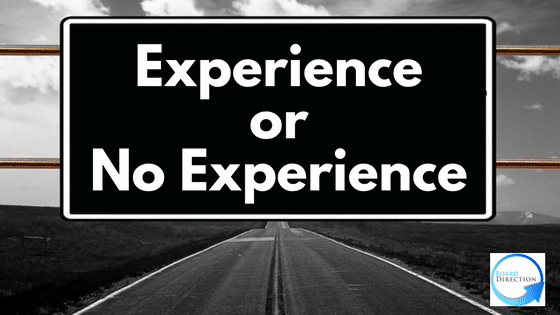 What Boards Want (2): Prior Governance Experience. In another article I outlined the five (5) elements (skills, experience, connections, understanding & fit) that I understand most Chairs or Nominations Committees consider when making board appointments. Specifically, I detailed what executive skills are valued at board level but also, I hope, encouraged you to consider how your skills could be applied at board level and how to effectively promote these in a recruitment scenario. In this article I want to look at the second of the five elements – Evidencing prior governance experience. How can you determine future success at board level? While it is not necessary for board members to get along, an effective board is one that works together to make effective and well informed decisions. All Chairs want this from their current board and to continue regardless of changes in board member composition. As such, when appointing new members they want to ensure that individuals, in addition to having the requisite skills, can contribute successfully to the outer workings of the board. So the question is: How does a Chair determine whether a candidate will be successful on their board? Adhering to the old recruitment adage ‘Demonstrating past success demonstrates future success’ is one such determinant. It is a phrase I regularly hear in recruitment circles. It essentially suggests that, if a candidate was successful in a similar role in the past then they are likely to be successful in a similar role in the future. Whilst this statement feels intuitively true, on closer inspection it is not necessarily so. Making a decision on this basis can ignore the cultural, physical, economic and geographical differences between an individual operating in one organisation as opposed to another. It further underplays the personal relationships so intrinsically important at board level and the diverse and unique motivations of individual members. As such, alone, I believe, it is an unreliable gauge to measure future success. There is something we all suffer from called the Fundamental Attribution Error, which is that we “instinctively want to explain the world around us in terms of people’s essential attributes” i.e. we focus and make judgments of individuals upon immediately graspable facts first. Because of this, and regardless of how much stock you personally put in the past success/future success statement, your past experience weighs heavily in the minds of many decision makers. So it is therefore essential that you make it clear you have prior governance or board level experience. I have board experience so what do I do? Dare them not to see you! Ensure your CV promotes your board experience clearly and include evidence of success. Just because you have sat on a board does not make you a good board member – your evidence of success does. Make sure that both elements are on the front page and in bold on any document you submit. Likewise you want to make sure this is clear in conversations/interviews you are in. Demonstrating this sort of experience/success to Chairs and Nomination Committees means that you are on your way to being considered a ‘safe hire’. However, not evidencing this success/experience, regardless of your executive skills, means that there will likely be better looking candidates in the mix. I don’t have board experience what do I do? The obvious answer is to get some. I am aware that this response might seem flippant but bear with me. If you are intent on developing a serious board portfolio or perhaps just one or two significant roles, then you need to manage your expectations. This might mean starting from the bottom – like you had to when you began your executive career. Start by considering small, perhaps community based organisations, to serve on boards of (there are plenty out there) or target your search to organisations/stakeholders that you know intimately and who know and trust you already (a smaller group). Taking these roles won’t necessarily lead to more significant boards in their own right (and this should not be your primary motivation for taking them) but the new title of ‘Non Executive Director’ just might. Before you jump into finding a small board role an alternative might be found in your past. Have you sat on an internal or executive committee before? If so, then this goes some way to alleviating the potential anxiety a Chair might have in appointing you to your first ‘proper’ board as these roles suggest your ability to operate in a board environment and show some governance experience. If you haven’t any committee experience you should try to get some – look for opportunities within the organisation you work for or with stakeholder organisations. If it is easier, think about it in a regular/executive hiring context. All things being equal who, between the two following candidates, are you more likely to lean towards hiring? The one who has not? At board level you want to be the one who has done the ‘job’ before. 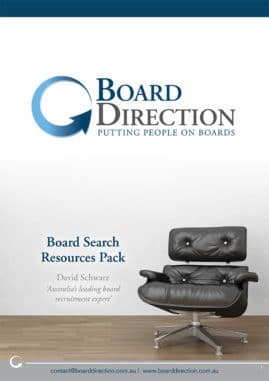 Whether you have done the job before or not, for help with your board application, sign up for Board Direction’s Board Application Support and give yourself the best chance at being the one to dare them not to appoint you. « What Boards Want (1): Executive skills.